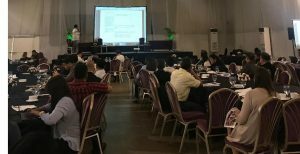 The Department of Trade and Industry (DTI) through the (Micro, Small and Medium Enterprise Development (MSMED) Council implements the 7Ms- Mindset Change, Mastery, Mentoring, Money, Machine, Market Access, and Models of Business, a framework which were introduced and supported during the ASEAN Economic Community (AEC) meeting last year. MSMEs shall be assisted to develop a positive Mindset, to gain Mastery of their business, to provide quality business Mentorship, to facilitate access to Money, to improve access to domestic and international Markets, to provide quality Machines, and to be exposed to innovative Models of business. To achieve the strategic goals specified in the MSME Development Plan 2017-2022, the MSMED Council has laid anchor programs to be implemented. These programs and other initiatives were presented during the National MSME Summit held last 10 July 2018 in Clark Pampanga. The summit was attended by entrepreneurs, industry leaders, enablers and other stakeholders nationwide. President Rodgrigo Duterte also graced the event to show his administration’s continuing support to MSMEs. Customs Commissioner Isidro Lapeña announced that the Bureau of Customs (BOC) will create a multi-agency body composed of government agencies and port stakeholders and users that will address issues hounding the private sector. Various stakeholders discussed the recommendations and action plans for the implementation of the Terminal Appointment Booking System (TABS), the Anti-overloading Act, port congestion, turnaround time of trucks, return of empty containers, and issues with international shipping lines. On TABS, the web-based booking platform for trucks at Manila International Container Port and Port of Manila, port users to extend the early arrival margin to three hours, and improve the system to promote transparency. On Anti-overloading, stakeholders recommended the extension of moratorium period of 6 months on the implementation of the maximum Gross Vehicle Weight (GVW) for Code 12-2 and Code 12-3. The stakeholders views that the law is inconsistent and not implemented properly because of redundancy of weighing exercises. It was proposed that there should be a mandatory weighing of laden containers prior to exit from the yards. Meanwhile, for long term solution, stakeholders recommend the amendment of the law’s implementing rules and regulations to increase the maximum allowable GVW. On port congestion, multi-sectoral body is proposed to determine and declare any port congestion. Also, for overstaying of empty containers, stakeholders recommended to shorten the allowable stay of empties from 90 days to 60 days. Other important recommendations are the following: (1) International Shipping Lines to put up or lease their own depots outside Metro Manila; (2) PEZA to possibly dedicate a space and designate a facility for the empty containers near to them; (3) International Shipping Lines to remove the unwarranted charges by specifying absolute container depot fees when returning empty containers; (4) BOC to initiate the implementation of rules and regulations to regulate the shipping lines. To address the high cost of origin and destination charges of international shipping lines, the Export Development Council (EDC) together with other stakeholders endorsed a draft bill entitled “An act establishing guidelines for the application of local charges (origin and destination fees) imposed by international shipping lines to comply with existing laws and international standards (INCOTERMS)” to the House of Representatives Committee on Economic Affairs.